What could be more dumbfounding in the Filipino governance arena than the media magnifying the voices of impolitically related personalities when it comes to the most critical turn in Philippine politics? We can be safe to say then that now fame becomes tantamount to knowledge which is of course, downright embarrassing especially the technology we have is an international platform to the broadcast political ignorance. An athlete, a celebrity on the political chairs. These are the people the citizens trusted the legislation with. We are talking about laws here. Governance. It is not something that can work with trial and error and definitely not something a political adviser can get around with. Because ideally legislation is not something you just pull off, not something you just get by with, it is something you get done with conviction. I am no political expert; however, as a citizen I do understand that what the country needs is not just a doer but also a thinker. By thinker I refer to someone equipped with enough experience and knowledge. 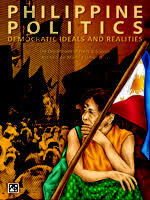 It is not an “or” situation, politics and governance entails the combination of both. 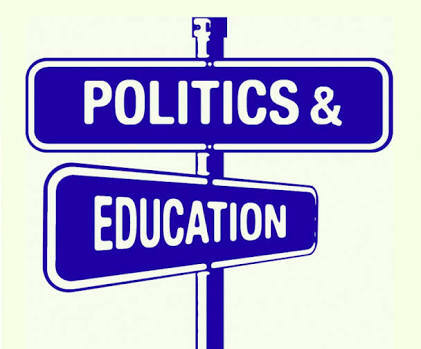 Some analysts would go and say that the period of experience can be supplicated with knowledge and the qualifications of a good politician could be agreed upon, but look at the Constitution – it may be nodded to that what’s therein justifies the kind of choices voters make. Anyone can run for a position as long as he is old enough, a citizen, and is literate. So, if conditions fall a bit out of what is stated, it will be shadowed if you meet the previous three qualifications. Another, people choose what’s convenient over logical and credible sources of information. We deem the opinions of some mere supporter without political expertise as credible political analysis or news that we absorb to become the ideal we share with everyone else. The media tolerate this. Do not say it do not because these unsolicited political reviews from mere spectators produce an uneducated discourse on agenda, probable uprising, intolerance and all the post election dramas you get when majority of society, who are educated only by social media posts and not by master narratives from established institutions that provide us the real know-whats in politics, economics, and the whole of the Philippine foundations, became led by a cat that see herself a lion in her reflection from the waters – aside that it’s a lucid dream, the image created is false and powerless, going against already fierce and skillful pack of wolves. Who gets defeated here if we continue letting our youths be educated by know-it-alls? A generation of hollow machines that act based on rumors rather than educated beliefs! We do have Google, we do have Facebook and Twitter but these are originally platforms for your personal concerns and for, technically, socialization but as far as we know, these were not created to become established institutions of knowledge. Yes, you may chip off a bit of curiosity by taking advantage of these sites but please refer back to your books, to your Philippine history and do not stick with one author only. Look at all possible angles to a story to understand it well. We are not demeaning the people. Yes, we are all entitled to our opinion but a responsible person should know that s/he is also responsible for how s/he influences everyone else especially if one knows that s/he gets a good following. If you know you are not qualified to make certain propositions, then just don’t. So, what gives me the right to post this? As a former educator who believes in critical thinking, as a writer and communication practitioner taught to be mindful of the credibility of the sources I resort to, and as a big sister who wants my younger siblings to think and not just reflect, I am qualified. If I do get the chance to choose who to follow in this time of viewers-turned self-proclaimed political analysts before a tantalizing government spectacle, I would choose an educated influencer over just famous ones. Everytime. Do so, too, if not for your contributions to your country, for the sake of your own reputation at least.